Going live on 1st November to coincide with the olive harvest in Lucca (the home of Filippo Berio) the “Shake to win” game enabled customers to literally shake the tree to make three olives fall. Enabled by internal smartphone technology, gyroscope, users could shake their smartphone which would in turn, shake the tree causing the olives to fall. Desktop users simply clicked the tree to watch it shake and the olives fall. The olives would land on the rustic wooden table. The player simply selected an olive in order to find out whether they’d won a prize. Players were directed to the game via Filippo Berio social media channels. “Filippo Berio is a brand with great heritage, who are responsible for some excellent work over the past year. 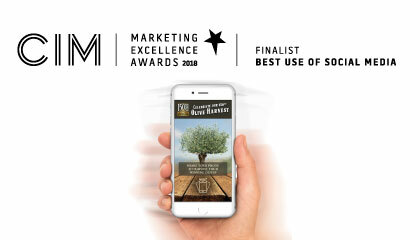 I’m delighted to announce that, in the face of extremely stiff competition, that their marketing activities have been to such a high standard that we have shortlisted them for our Marketing Excellence Awards,” commented Chris Daly, chief executive of CIM. The CIM’s prestigious Marketing Excellence Awards recognise and reward brilliance in the field of marketing, celebrating the finest minds within the profession. 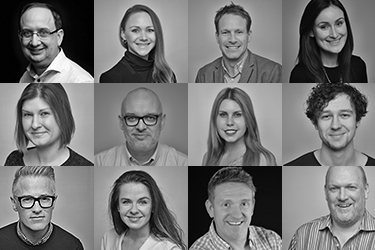 These awards are a fantastic way to raise awareness of the creativity and originality delivered by marketers, as well as showcase the successes of marketing teams and individuals alike. TLC Marketing together with Filippo Berio are looking forward to finding out who has won the coveted trophy at a ceremony in London on 12th April 2018.